LogMeIn offers several beta features known as Labs, which are exciting new ways to enhance your sessions. Keep in mind that when you use a Labs feature, you are agreeing to use a feature that has not been fully tested and may still have some bugs. If you decide you no longer want to use a lab feature, you can always disable the feature from your Control Panel. If you end a session with one or more Labs features enabled, then GoToWebinar will remember your preference when you next start or join a session. To enable a Labs feature, select File > Labs. Then select the desired feature; once enabled, it will display a Check icon . To disable a Labs feature, select it again in the Labs menu. Once the feature is disabled, the Check icon will disappear. This feature allows staff (i.e., panelists, presenters and organizers) to add profile pictures to their names in the Attendees pane. To enable/disable this feature, select File > Labs > Profile Pictures. To add their profile pictures, Windows and Mac staff can drag and drop an image file into the Attendees pane. 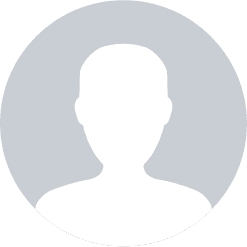 GoToWebinar will remember profile pictures for future sessions that have this feature enabled. To remove their pictures, they can right-click their name and select Clear My Profile Picture. Windows staff can hover their mouse over another staff member's picture to see an enlarged version of the image. Windows staff will also see each staff member's picture appear next to their name in their Control Panel and Viewer (e.g., "Talking", "Now Viewing <attendee>'s Screen" messages). Mac staff members will see each staff member's picture appear next to their name in their Control Panel and "Talking" message. Note: This feature is available to Presenters as well as organizers. Note: This is available to Windows users only. This feature allows you to select a specific portion of your screen (denoted by a framed area) to share with attendees. 1. To enable this feature, select File > Labs > Allow Sharing a Rectangle. 2. In the Screen Sharing pane, two new options will appear in the "Show My" drop-down menu: : "Rectangle" and "Rectangle - but hide my icons & taskbar". 3. When you select one of the new options, a floating GoToWebinar rectangle will appear on your screen. You can click and drag the edges of the rectangle to change its size and shape as desired, then drag it around the screen to frame the area you want to share. Only the area within the frame will be shown to attendees. 4. The attendee's Viewer will automatically re-size itself to match the shape of the frame on your screen. Note: This feature is available to Presenters as well as organizers. By default, your Control Panel is hidden from attendees when you are sharing your screen. If desired, you can use this feature to have your Control Panel be visible on the shared screen. To enable/disable this feature, select File > Labs > Show my Control Panel to attendees during screen sharing.